Leadingware specializes in the design of computer simulations for use in leadership development. These computer simulations blend innovative technology, problem-based learning, and research-based knowledge of effective leadership practice. The simulations are engaging and well-tested in university courses and executive development around the world. As noted below in greater detail, selected simulations have been adapted for use in Asian countries. Adaptation includes revisions to make them suitable to the process of leading change in Asian organizations as well as translation. Current translations include Thai, Malay, and Korean. 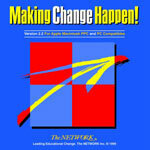 Making change happen is an interactive computer simulation designed to teach key lessons on leading organizational change. The simulation comes in several versions including a focus on change in schools as well as in private sector organizations. The simulation has also been adapted extensively for use in Asian organizations based on research on change in Asian companies. The simulation places the learners (the simulation is typically played in teams) in the role of a project management team charged with implementing new IT systems in a company. The school version focuses on implementing new learning technology. The team has a budget to spend on activities designed to inform, interest, enable and support the staff in learning to use the new technology in the organization. Progress is made in the use of the new IT by 24 staff members through the stages of change. The simulation is played over a three-year period of time at which point the effectiveness of the team’s strategy is evaluated based on a combination of the number of “routine users” of the new IT and increases in productivity. 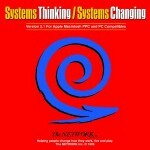 The simulation is problem-based — the problem is presented first and the learners engage in attempting to solve it. Through the simulation experience, key lessons about leadership, change management, resistance, and change strategy are illustrated. Embedded in the simulation are a variety of change theories and models such as Roger’s Adopter Types, Kotter’s 8 stages, and Hall’s CBAM approach. 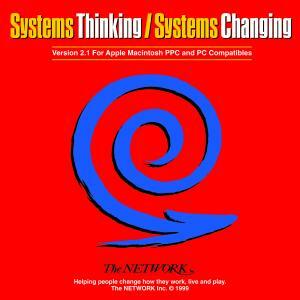 However, these theories are only highlighted by the instructor after the simulation has been played. Papers on Making Change Happen! Improving School Success is designed to place a knowledge base of information on factors that contribute to effective school learning at the fingertips of school leaders. based on an extensive review of research, this problem-based simulation places the school leader in the position of a principal or school leadership team seeking to improve learning and teaching. The learner has a budget to spend on an improvement strategy that draws from 50 different research-based interventions aimed at improving student achievement in the school. Underlying the action-oriented approach to school improvement is a theory of organizational change. The learners must not only draw apply research-based interventions, but also do so in a way that is validated by empirical studies of change and school improvement. Hallinger, P. & McCary, M. (1991). Using a problem-based approach to instructional leadership development. Journal of Staff Development, 12(2), 6-12.